Phoenix - New Times is founded by college dropouts Michael Lacey and Jim Larkin as a response to the Vietnam War and biased coverage of protesters in Phoenix’s mainstream press. 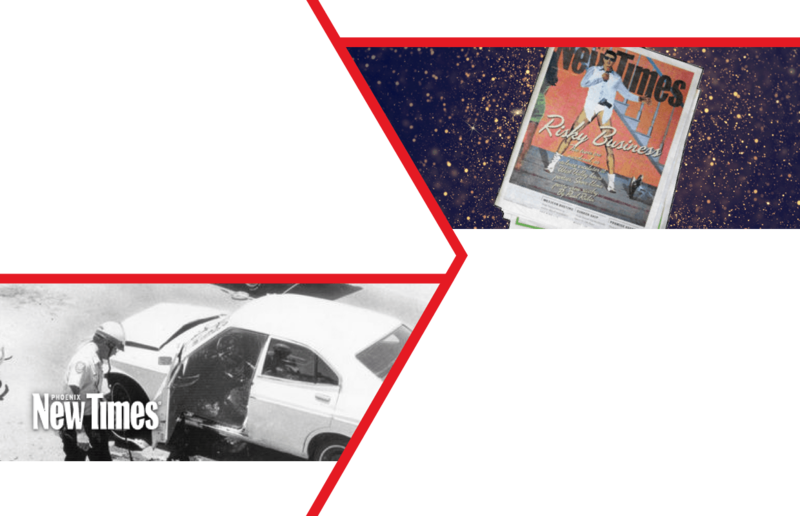 Phoenix - New Times gains a foothold locally by printing the Investigative Reporters & Editors report on the car-bomb killing of Arizona Republic reporter Don Bolles – a report the Republic itself declined to publish. Denver - The first edition of Westword, Denver's free fortnightly, hits the streets; nobody knows what “fortnightly” means. LA - LA Weekly is founded by an investment group that includes actor Michael Douglas. 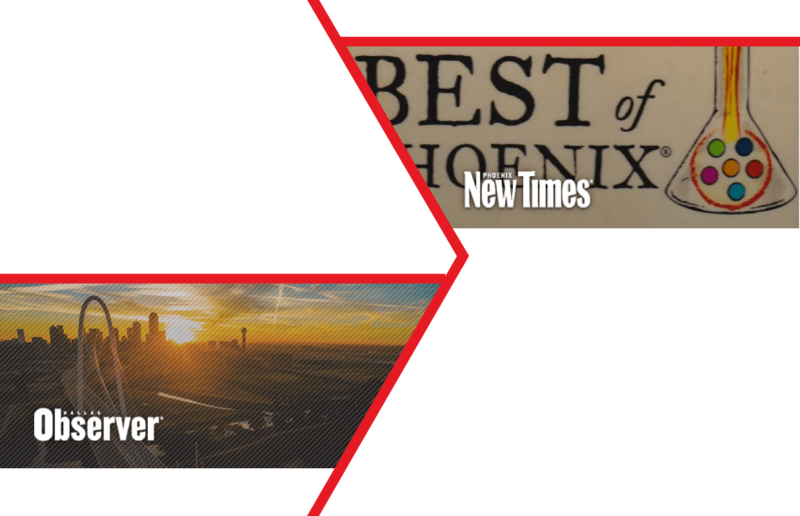 Phoenix - New Times publishes its first-ever “Best of Phoenix” issue; the insider’s guide to the city quickly becomes its most popular annual issue. 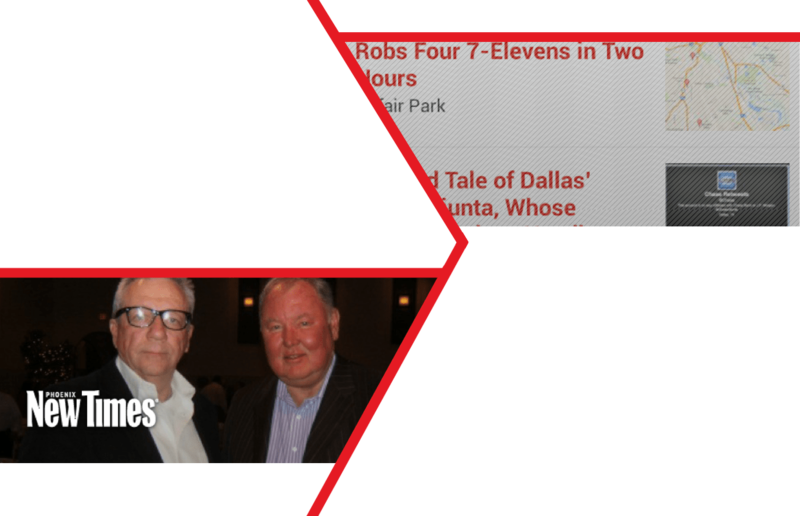 Dallas - The Observer is founded by local partners Ken Kirk and Bob Walton. Denver - After being sold to New Times Inc. (now Voice Media Group) Westword goes weekly. 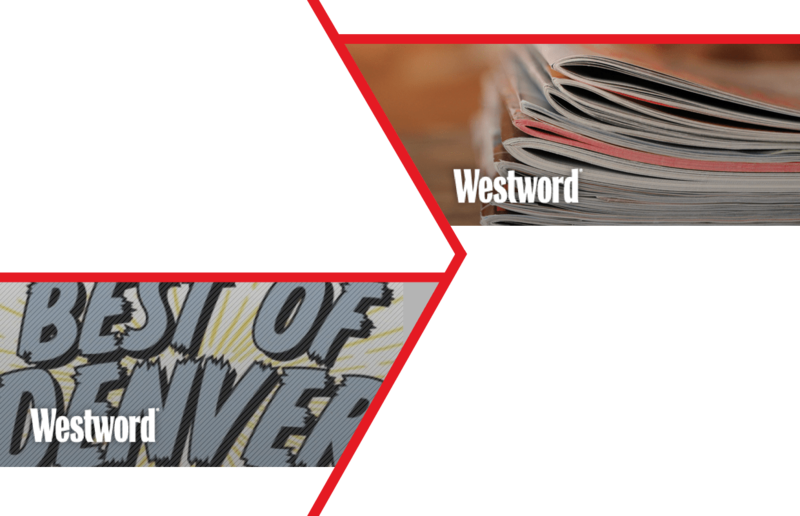 Denver - Westword publishes its first “Best of Denver” edition, and it’s an immediate sensation. Phoenix - New Times writer Bart Bull wins the Arizona Press Club’s Don Schelle Award for column writing, the first of five consecutive wins for the paper in that category. 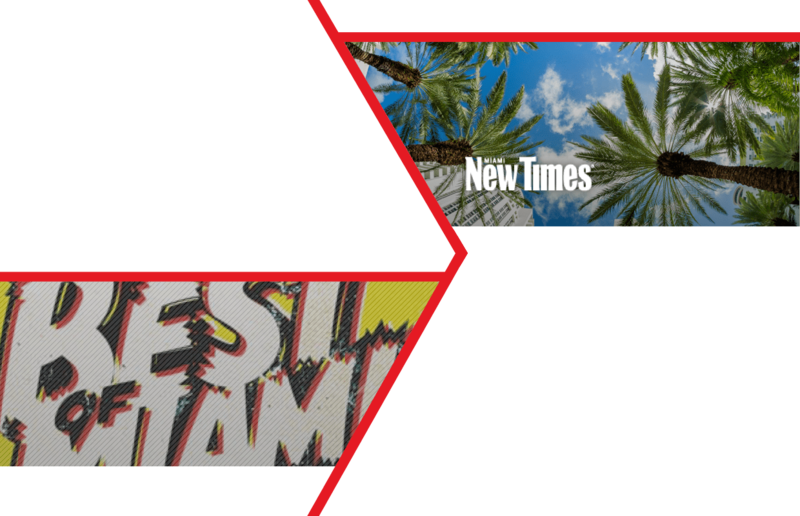 Miami - New Times Inc. purchases a small Miami Beach newspaper named The Wave and retitles it New Times. Jim Mullin, who had recently vowed, “never to be an editor again,” is named editor-in-chief. The paper’s first edition features a column by gonzo journalist Hunter S. Thompson riffing on Continental Airlines. Miami - New Times moves into an office that shares a wall with Miami’s oldest bar, Tobacco Road. New Times publishes its first “Best of Miami” issue, and the city goes wild. Phoenix - New Times music editor David Koen tricks then-state legislator Jan Brewer into reading X-rated rap lyrics over the phone and the paper blasts her impromptu performance over loudspeakers at the state capitol. Miami - Reporter Sean Rowe is hired away from the Miami Herald; for one of his first stories, he hops a ship to Haiti and returns with dengue fever. Phoenix - Jana Bommersbach wins the Arizona Press Club’s Don Bolles Award for Investigative Reporting, the first of five consecutive New Times wins..
Miami - New Times hires Jim DeFede away from the Spokane Spokesman-Review and makes him a columnist, sending chills down the spines of local politicians. 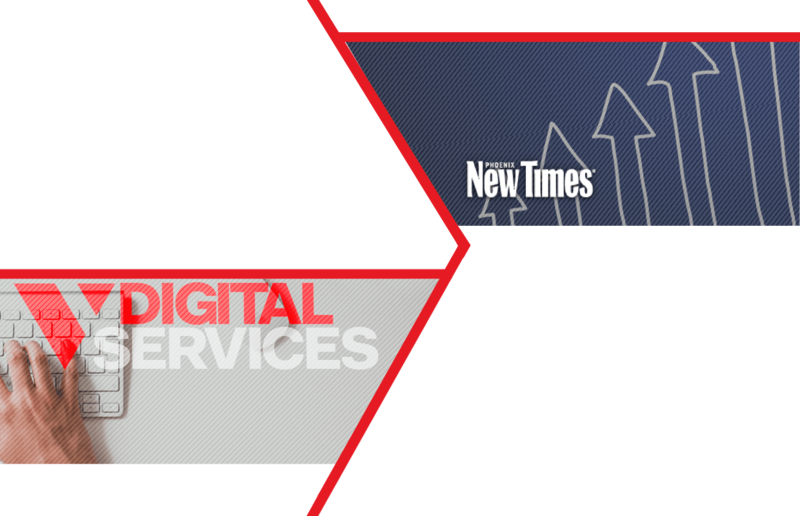 Dallas - The Observer is purchased by New Times, Inc., the predecessor company to today’s owner, Voice Media Group. One of New Times’ first hires is reporter Laura Miller, who, after writing blockbuster stories for the Observer, goes into politics and is elected mayor of Dallas. Dallas - The Observer publishes its first Best of Dallas issue; the annual insider’s guide to the city quickly becomes its most popular issue. Denver - Westword breaks the story of the Rocky Flats grand jury and wins a national Silver Gavel Award for legal reporting. Houston - New Times Inc., the predecessor company to current owner Voice Media Group, purchases the Press from Houston real estate developer Niel Morgan and his partner Chris Hearne. 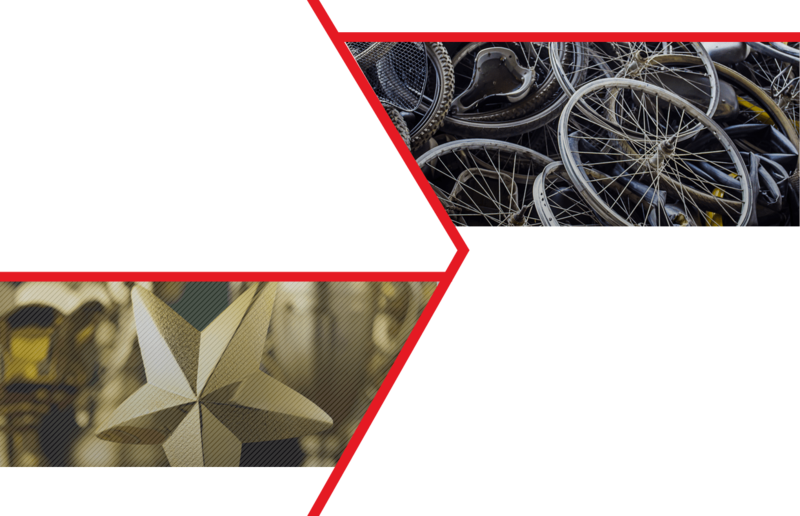 Houston - The Press publishes its first “Best of Houston” issue. The insider’s guide to the city is an immediate success. Phoenix - Staff writer John Dougherty is named the Arizona Press Club’s Virg Hill Newsperson of the Year, kicking off a remarkable eight-year stretch where a New Times writer is honored as the best journalist in the state. 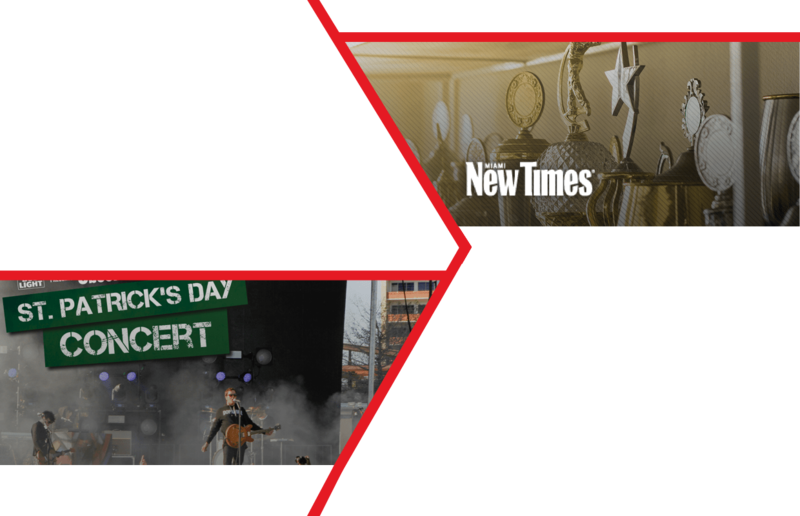 Phoenix - New Times joins the digital age with the debut of www.phoenixnewtimes.com. 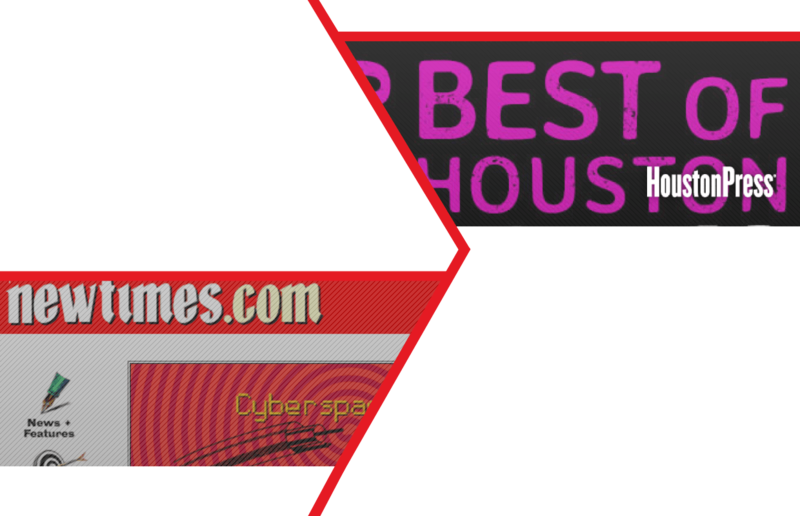 Houston - The Press enters the digital age with the debut of www.houstonpress.com. 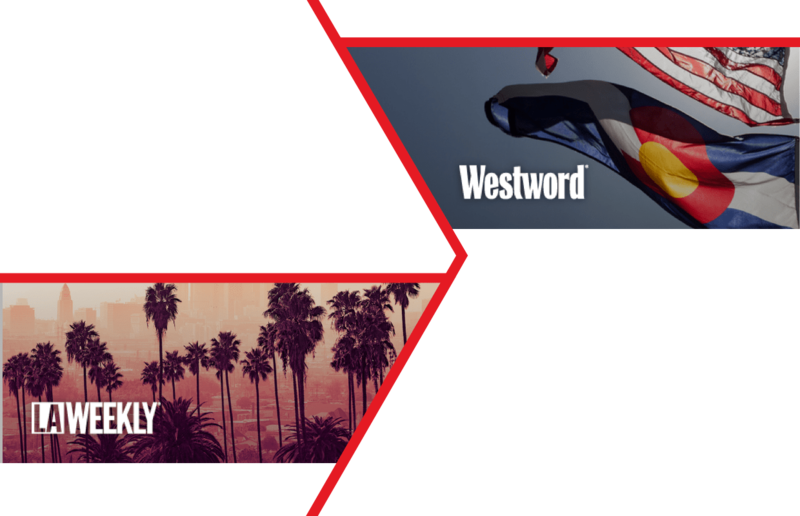 Denver - Westword joins the digital age with the debut of www.westword.com. Westword introduces Artopia, its annual celebration of the arts. Westword presents the first Westword Music Showcase, an annual celebration of the local music scene now held every June in the Golden Triangle. Miami - After six years at the Miami Herald, Pulitzer Prize-winning editor Chuck Strouse is hired as New Times’ managing editor. New Times sets up a fake committee to sell the Florida Marlins; Providence, R.I. mayor Buddy Cianci and numerous other politicians swallow the satirical bait hook, line, and sinker. Houston - Press staff writer Michael Berryhill is named the Houston Press Club’s Print Journalist of the Year. Dallas - The Observer hires iconic author and reporter Jim Schutze, who remains at the Observer today. Houston - Margaret Downing, the former managing editor of both the Jackson Clarion-Ledger and the Houston Post, becomes editor-in-chief of the Press. 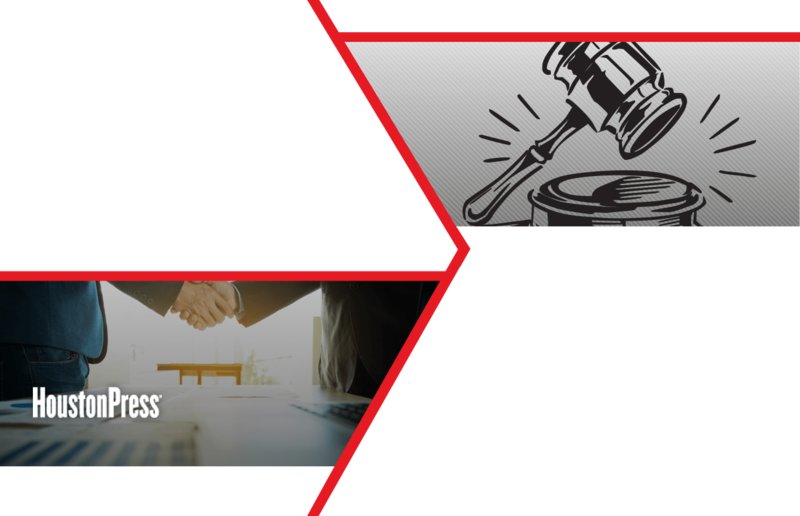 Dallas - The Observer draws national headlines for a series of stories reporting that Dallas-based law firm Baron & Budd had cornered the market on asbestos litigation with a series of dubious practices. Miami - New Times columnist Bob Norman wins the prestigious Livingston Award for his blockbuster exposé on how the Immigration and Naturalization Service allowed 9/11 hijacker Mohamed Atta into the country. Denver - Westword breaks the story of sexual assaults on female cadets at the Air Force Academy, which wins reporter Julie Jargon a Livingston Award for national reporting. Thirty years after Westword published its first restaurant review, café critic Jason Sheehan wins the James Beard Foundation Award for restaurant criticism. Miami - New Times wins the John Bartlow Martin Award for “We’re Number One!”, a collection of articles and charts revealing that Miami had been named the country’s poorest big city. Dallas - Observer writers Thomas Korosec and Rose Farley write “Sweetheart Deal,” showing how efforts to subsidize low-cost housing created a bonanza for well-connected profiteers. The Observer gives back to Dallas by throwing its first St. Patrick’s Day Concert, an event that quickly becomes a fan favorite. Phoenix - Dougherty pens a groundbreaking story revealing that Maricopa County Sheriff Joe Arpaio dumped hundreds of thousands of dollars into local real estate deals. Dallas - In a landmark case before the Texas Supreme Court testing the limits of satire, the ever-irreverent Observer defeats a libel suit filed by a local judge and county attorney. Miami - Jim Mullin leaves to edit and publish the Biscayne Times. Chuck Strouse becomes editor-in-chief, a job he continues to hold today. 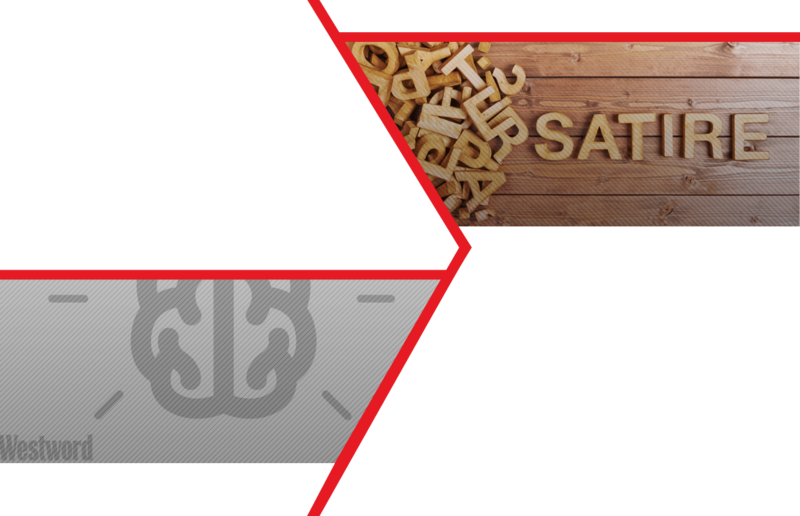 Denver - Westword introduces the MasterMind awards, an annual grant program celebrating Denver's creative pioneers. Dallas - Observer writer Robert Wilonsky starts the “Unfair Park” news blog, one of the first and most successful blogs published by an alternative weekly. LA The Weekly is purchased by New Times, Inc., the corporate predecessor to present owner, Voice Media Group. The Weekly publishes its first “People” issue, featuring dazzling portraits and profiles of the robot builders, burlesque queens, tech wizards, activists, political warriors and rock stars who give L.A. its special character. LA - Weekly restaurant critic Jonathan Gold receives the Pulitzer Prize for criticism, marking the first time the prize was awarded to a food writer. Phoenix - Arpaio lashes out at New Times, arresting founders Michael Lacey and Jim Larkin for publishing a story that he claimed violated grand jury secrecy laws. The newspapermen sue for wrongful arrest. Houston - Press staff writer Todd Spivak wins a national Investigative Reporters & Editors Award for “Run Over by Metro,” a story exposing the dangers posed by Houston’s runaway bus company. LA - Weekly staff writer Christine Pelisek writes the first in a series of award-winning “Grim Sleeper” stories, revealing that a serial killer had been operating in Los Angeles and police had withheld that information from the public. 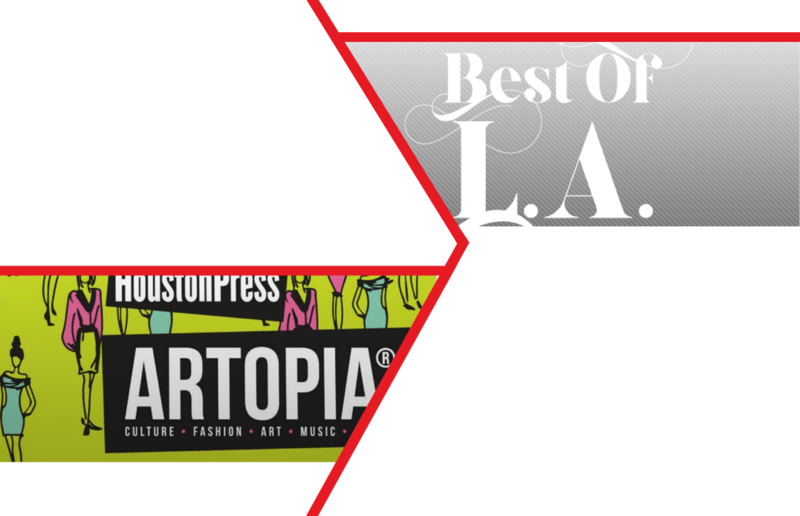 The Weekly publishes its first “Best of LA” issue, an oversized ode to the city’s finest restaurants, shops, artists, musicians and entertainers. It quickly becomes essential reading. Miami - New Times starts a signature food event, Iron Fork, which grows into a blockbuster attracting as many as 4,000 people to local venues. Dallas - The Observer’s commitment to developing talent pays off when staff writers Megan Feldman and Jesse Hyde both are named national finalists in the Livingston Awards for Young Journalists. Phoenix - Staff writer John Dickerson wins the national Livingston Award for stories exposing holes in Arizona’s safety net for medical patients. Houston - The Press presents “Artopia,” an annual celebration of Houston’s best art, culture and fashion. Press staff writer Craig Malisow is named Texas’s Print Journalist of the Year in the Lone Star Awards, marking the first of three consecutive wins for the paper in that category. Denver - Westword’s story about twins held hostage in a house in northwest Denver wins editor Patricia Calhoun the national Society of Professional Journalists’ Sigma Delta Chi Award. Phoenix - Staff writer Sarah Fenske becomes New Times’ second Livingston Awards winner in a three-year stretch, honored for columns on malfeasance at the Housing Authority of Maricopa County. Miami - Unimpressed with the city’s lineup of potential mayoral candidates, New Times runs rap star Luther Campbell of 2 Live Crew fame for mayor. Phoenix - Lacey and Larkin sell New Times to Voice Media Group, a company formed by a group of longtime New Times executives. Phoenix - Six years after being wrongfully jailed by Sheriff Arpaio, Lacey and Larkin win a $3.75 million legal settlement from Maricopa County. 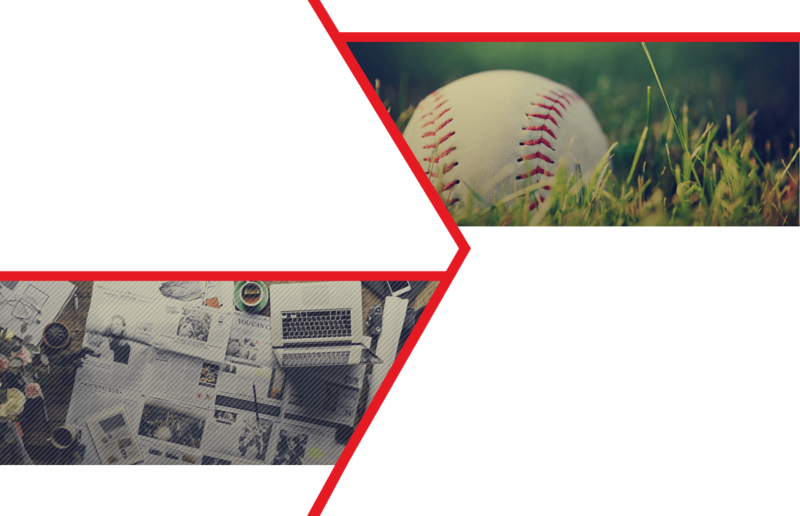 Miami - New Times managing editor Tim Elfrink reveals that a Coral Gables anti-aging clinic has been selling performance-enhancing drugs to professional athletes including New York Yankees star Alex Rodriguez. Denver - "Bloody Ludlow," a centennial account of the massacre of striking coal miners and their families outside Trinidad, wins staff writer Alan Prendergast the Eugene S. Pulliam National Writing Award. 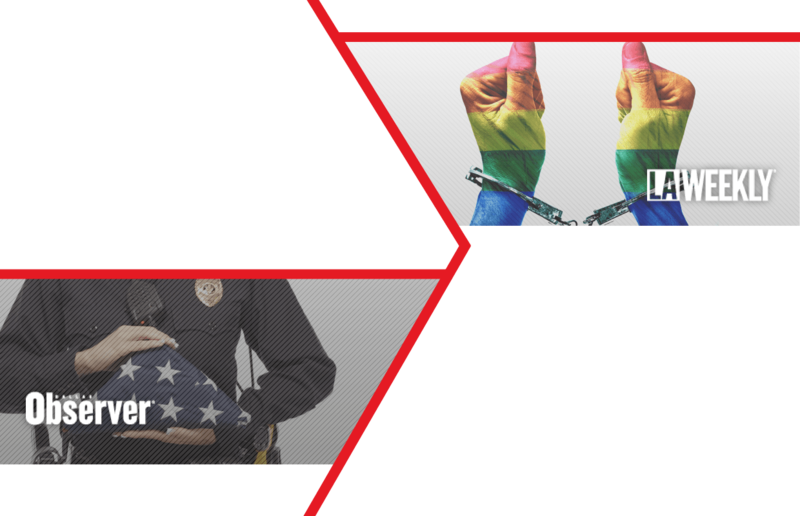 LA - The Weekly publishes its most popular story ever, “Inside the Gay Wing of L.A. Men’s Central Jail,” a remarkable look at how gay and transgendered inmates have carved out a peaceful stronghold in a largely brutal institution. Houston - Malisow wins a PEN Center USA journalism award for his story “Deadly Charades,” about a Texas A&M professor who committed suicide after being extorted online. Dallas - Observer staff band together to provide authoritative coverage of the massacre of five police officers in downtown Dallas. Dallas - Schutze pulls off a rare two-fer at the Assocation of Alternative Newsmedia Awards, taking first-place for both general column writing and political column writing. 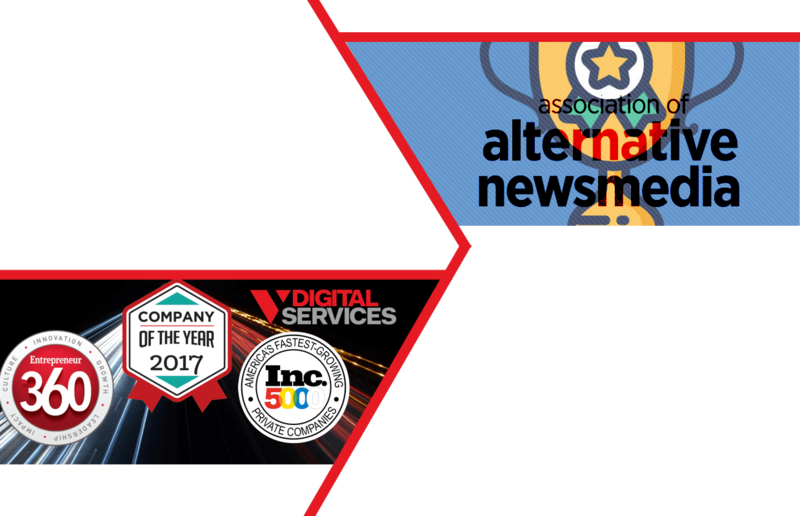 V Digital Services - V Digital Services honored with multiple awards throughout 2017, including Entrepreneur magazine’s "360 List," Inc. magazine’s 5,000 fastest-growing companies list, Company of the Year by Business Intelligence Group, Top 10 Advertising Agency by Phoenix Business Journal, and more. Phoenix - Phoenix New Times staff writers Antonia Noori Farzan and Joseph Flaherty win the prestigious George Polk Award for stories revealing that the Motel 6 chain was colluding with ICE by regularly providing guest lists to the federal authorities. 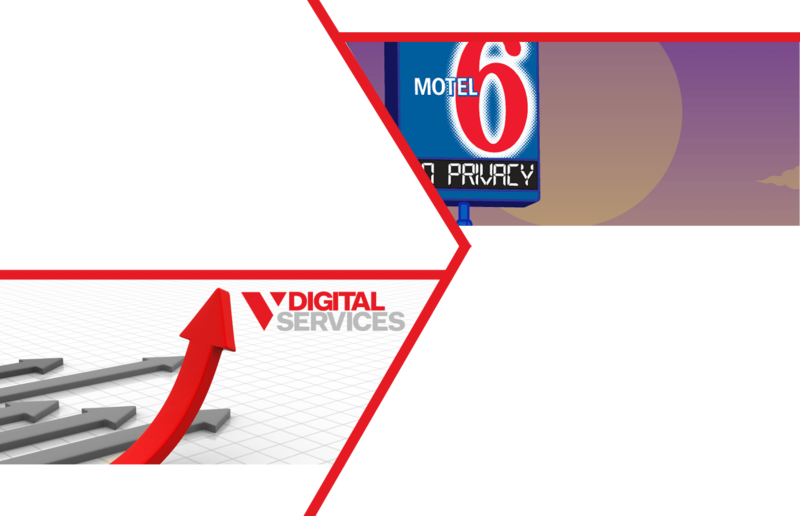 V Digital Services - V Digital Services kicks off 2018 with multiple business and personnel acknowledgements, including 2018 Stevie ® Awards for Sales & Customer Service, being named one of the nation’s fastest growing companies by American Business Awards, and winning four Globee Awards, including a prestigious gold medal for having the most robust jobs growth in its category.